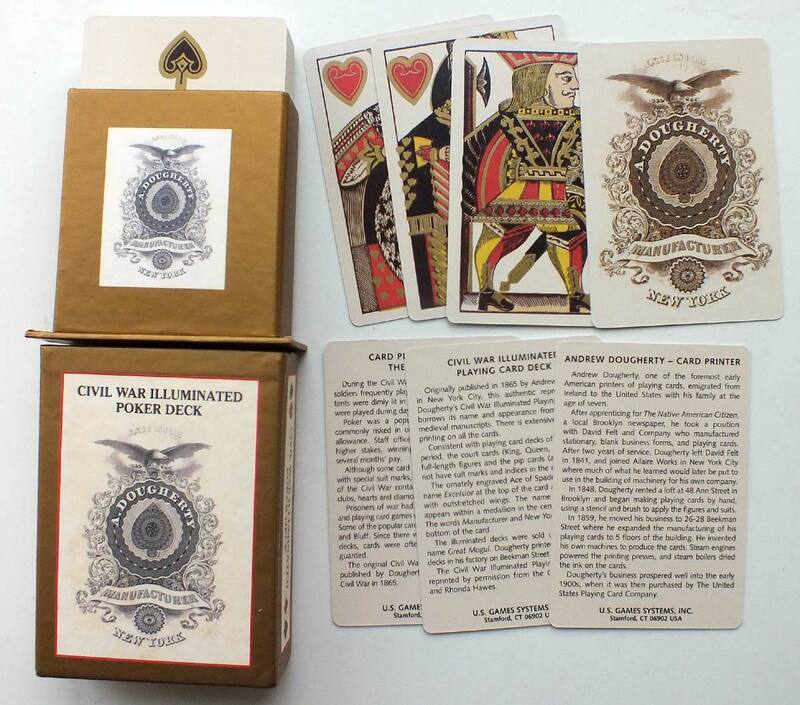 Above: cards from facsimile edition of Andrew Dougherty's Illuminated deck of c.1865, published by U.S. Games Systems, Inc., and described as 'Civil War Illuminated Poker Deck'. The cards are illuminated with gold ink to recreate the look of the original cards. 52 cards + 3 information cards in slip case. The court cards are inspired by the designs of De La Rue, rather than those issued earlier during the Coughtry & Dougherty partnership. 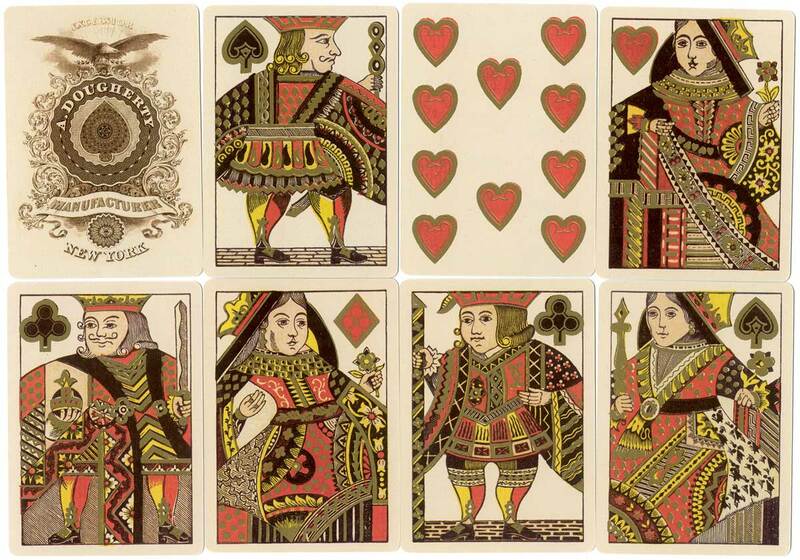 The name 'Excelsior' at the top of the Ace of Spades was a label given to decks during the no indices era, til around 1880. 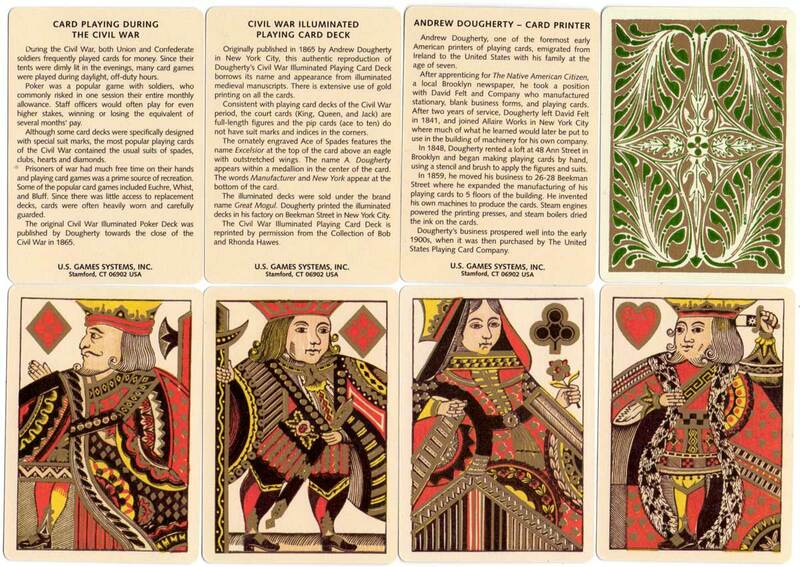 Illuminated decks were also published by Lawrence & Cohen in c.1863. Note: information regarding the classification and relatedness of the variants of the standard English pattern comes mostly from Ken Lodge's work (see bibliography).